Yes I know!!!! I was all kinds of excited when this bad boy finally arrived! 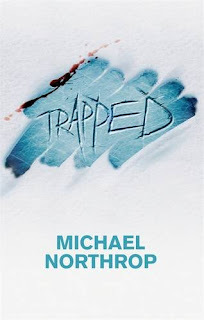 Trapped sounds like a good read :D, I am jealous you have Clockwork Prince but looking forward to reading your review of it. 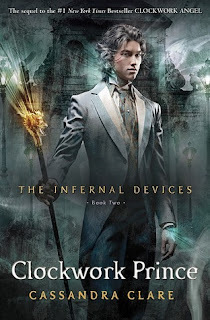 Oh my gosh- Clockwork Prince! A quiet week true but what an amazing one! Ooh, Clockwork Prince! I hope you enjoy it - I need to get on and read the Mortal Instruments series. I can't wait to read Clockwork Prince - you are so lucky! Trapped looks awesome and I'm off to check it out on GR. Love that cover! Trapped hasn't received glowing reviews, which is a shame. I'm hoping I like it more. Awesome books you have this week - I'm looking forward to reading Clockwork Prince too. Oh wow! Trapped looks wonderful! I haven't heard of it before!! Argh! I would so love to have The Clockwork Prince...please relocate a county over to Cambridgeshire (must bring overflowing library with you). Well, joking aside, I though really enjoyed Clockwork Angel, dare I say more than the preceding - or should that be following - ones. Love that Cassandra Clare makes me chuckle. Yay for Clockwork Prince finally arriving :) and I recently got a copy of Trapped as well, it sounds creepy and wonderful. I'm looking forward to it! I'm so jealous you got Clockwork Prince! I can't wait for December 6th, to finally get my hands on it. Hope you enjoy it!